ITapArcade focuses on developing innovative arcade controller kits for enhancing gameplay with indie software games for both mobile and desktop devices. I develop a variety of software and hardware projects. I hope to provide arcade controller kits that inspire you to be creative. Received the product in two days, both worked as descripted. Mounting screws that came with one were flat head, which I didn't like, he probably ran out of the round head screws. I have purchased a circuit playground from adafruit. I liked this kit because came with battery boxes with the jst connector on them, which I don't have. ITapArcade was nothing but helpful and responsive during the entire process, even helping me deal with a lost package. I could not be happier with the product quality and my overall experience with them. Perhaps the iTapStick is better used as a game controller for many as using it as a true computer mouse feels awkward at first. This isn't due to the product, though, but simply the adjustment away from the standard mouse style I've used for years. However, within one work day I already feel quiet proficient with it and can move around my screen quickly and accurately. I was CAD modeling the entire time and airing this with a 3D mouse like one from 3D connexion makes for a really ergonomic design experience. The iTapStick is truly plug-and-play, and Wil ships each Pro Trinket pre-loaded with the firmware. I soldered on some headers to each board, plugged the Nunchuky in and hooked up my Nunchuk, and went right on modeling. I've tried it on my work and home computers (both Windows) and it worked great on each. I still need to hook it up to a Linux machine for testing, but Wil has mentioned to me it runs on Ubuntu. The one thing I had an issue with is setting the mode (ie. switching the C or Z buttons between right or left click). I wasn't able to do this for some reason. 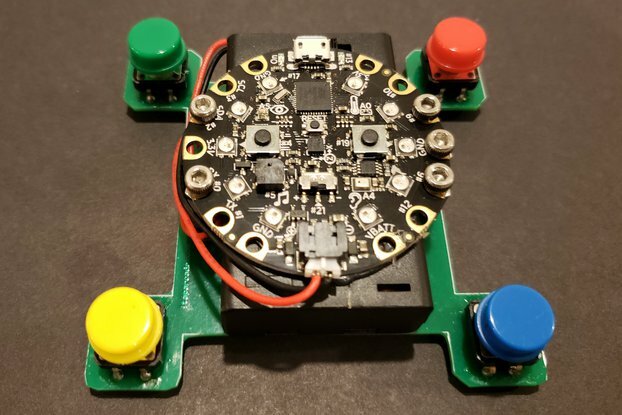 Perhaps this is user error, or maybe the documentation (https://learn.adafruit.com/nunchuket-kung-fu-pc-video-game-fighting-stick/overview) isn't too clear. It seemed simple enough... hold down one of the buttons and press the Pro Trinket's reset button. I tried holding down both buttons but always was left with the Z button as left click. No matter, as I prefer it that way, but I'm curious to try it reversed. Wil was responsive to my questions via email and has created a great product. One day of use and I'm already looking at buying a second.